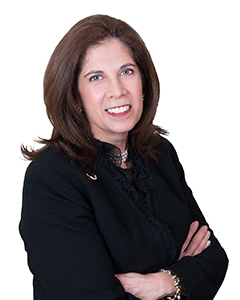 Patti Potash is a Name Partner, Leader of the Fleischner Potash Insurance Practice Group and Managing Partner of the Fleischner Potash White Plains office. Her clients are U.S., Lloyd’s and other international primary and excess insurers, reinsurers, and insurance retention groups who issue commercial general liability, pollution, contractors, professional liability, environmental, E&O, D&O, contingency, and property coverage policies. From its start in California to presently in New York, Ms. Potash’s legal practice consists of providing coverage opinions, handling coverage litigation, drafting policy and contract wordings, as well as insurance industry agreements, and responding to Insurance Department complaints. Ms. Potash also has experience in defending insureds in construction defect and injury, environmental damages and professional liability suits. Ms. Potash’s accolades over the years include SuperLawyer, Top 100 US Insurance and Reinsurance Lawyers Expert Guide, Top New York Women Leaders in the Law, and 20 years of AV Rating, the highest rating from Martindale Hubbell. Ms. Potash has written numerous articles, lectured to insurers, third party administrators and insurance-related organizations and taught CLE and CE classes on a wide variety of insurance related issues. She is particularly known for her writing and presentations on “pass through” additional insured and indemnification issues and for educating clients on coverage issues related to newly written types of coverage and insurance programs. California (currently Inactive) New York U.S.D.C. E.D.N.Y. U.S.D.C. N.D.N.Y. U.S.D.C. S.D.N.Y. U.S.D.C. W.D.N.Y.